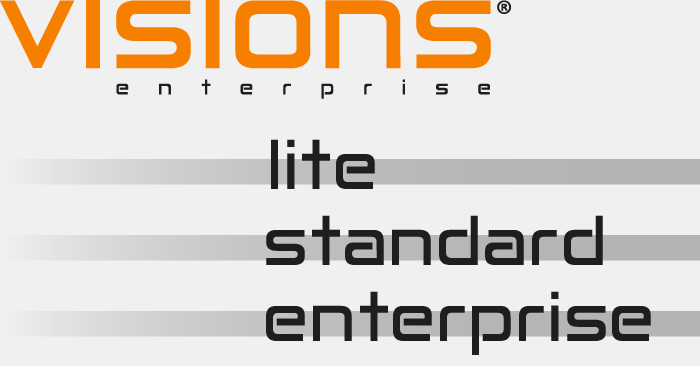 Metegrity, a leading market provider of inspection data management software, proudly announces that it has expanded the Visions Enterprise offering to include two additional software options: Lite and Standard. The expanded lineup addresses an industry need for Asset Integrity Management (AIM) that is scalable according to the size of an organization. The company has unveiled two new licensing options for smaller, single site organizations, in addition to their existing Enterprise product for large, multi-facility corporations. Visions Enterprise has been globally trusted with the Asset Integrity Management (AIM) of international, multi-facility corporations for the past 25 years. It is known for its capacity to handle all asset types across multiple sites from a single, centralized software platform. While the Enterprise product is perfect for multi-facility organizations, many operators with single plants have often asked the company to create a more basic version. They wanted to be able to venture into asset integrity at a lower total cost of ownership, on a simplified scale that better reflected their needs. Lite, which is ideal for smaller operators with single sites in the Oil & Gas (Upstream, Midstream, Downstream), Chemicals, Power, Mining, Pulp & Paper, and other process industries. Standard, which is ideal for companies with one or two plants/facilities in the Oil & Gas (Upstream, midstream, Downstream), Chemicals, Power, Mining, Pulp & Paper, and other process industries. Enterprise, which is the company’s flagship product. It is ideal for larger corporations with multiple plants and/or facilities. It delivers a single platform for risk-based inspection data management across all plants, pipelines and facilities. It manages fixed and rotating equipment, as well as offshore structures and pipelines with existing connectors to Infor EAM, SAP, Maximo, and other CMMS systems. The Lite and Standard licensing options enable owner operators to start their asset integrity journey. They deliver a simplified solution with lower total cost of ownership. From there, our product is scalable to grow with the needs of your organization. More information on the packages can be requested via the website. Metegrity is a globally trusted provider of comprehensive inspection data management solutions, protecting over $550 billion in assets across 850 facilities worldwide. Praised for unparalleled speed of deployment, our products are also highly configurable – allowing our experts to strategically tailor them to your business practices. With over 20 years in the industry, we proudly service asset intensive process manufacturers in the Oil & Gas (Exploration and Production, Midstream, Downstream, Upstream, Refining), Chemicals, Mining, Pulp & Paper and Power Generation industries.